The lineup for Aretha Franklin‘s funeral service has been revealed, with Stevie Wonder, Faith Hill and Jennifer Hudson among some of its most renowned performers. The Queen of Soul passed away earlier this month (Aug. 16) from pancreatic cancer of the neuroendocrine type, according to her oncologist Dr. Philip Phillips. She was 76. 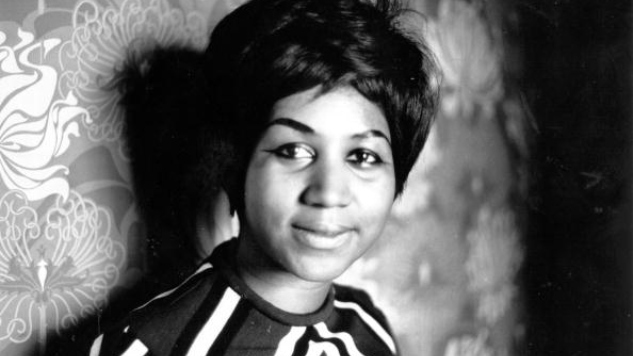 An icon for feminism and the civil rights movement, Franklin is remembered by many as the greatest soul singer of her generation. A private funeral for friends and family will be held on Aug. 31 at the Greater Grace Temple in Detroit, Mich. The event’s esteemed performers have now been announced in a statement from Franklin’s longtime publicist, Gwendolyn Quinn, to The Associated Press. In addition to Wonder, Hill and Hudson, Fantasia, Shirley Caesar, Chaka Khan, Yolanda Adams, Jennifer Holliday and Franklin’s son Edward are expected to perform. Wonder is a longtime friend of Franklin’s, who also co-wrote Franklin’s hit “Until You Come Back to Me (That’s What I’m Gonna Do).” Hudson was cast earlier this year to play Franklin in a biopic about the soul singer, although the future of the film is now uncertain. Daughter of a minister and the artist behind one of the most popular gospel albums in history (Amazing Grace, 1972), Franklin’s funeral is expected to be filled with music belonging to the religious genre. Notable gospel stars Marvin Sapp and Vanessa Bell Armstrong, and the Aretha Franklin Choir and the Aretha Franklin Celebration Choir will also be performing. While the memorial service on Friday will be private, on Aug. 28-29, fans will have the chance to to pay their respects at a public, open-casket viewing at Charles H. Wright Museum of African American History in Detroit. On Aug. 30, there will also be a viewing held at New Bethel Baptist Church, where Franklin first began singing as a little girl. A public concert at Chene Park amphitheater is also scheduled for Thursday. Read the full list of performers for each service below (via Vulture), beneath a 1971 Franklin show from the Paste archives. The Four Tops, Gladys Knight, Johnny Gill, Ron Isley, Kiki Sheard, Kurt Carr, Jean Carne, Doug Carn, Ronnie McNeir, L.J. Reynolds, Tasha Page-Lockhart, Dee Dee Bridgewater, Dr. Bobby Jones, Jenifer Lewi, George Faison, Angie Stone, Raheem DeVaughn, Gracie Franklin, Eddie Franklin, Victorie Franklin, Santita Jackson, Ralphe Armstrong Band, and Kern Brantley Band. Stevie Wonder, Faith Hill, Ronald Isley, Chaka Khan, Fantasia, Jennifer Hudson, Yolanda Adams, Shirley Caesar, The Clark Sisters, Jennifer Holliday, Tasha Cobbs-Leonard, Marvin Sapp, The Williams Brothers, Vanessa Bell Armstrong, Audrey DuBois Harris, Alice McAllister Tillman, Edward Franklin, Aretha Franklin Orchestra and the Aretha Franklin Celebration Choir.